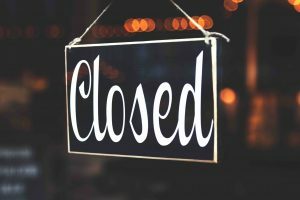 Unfortunately, this most likely means that False Claims Act investigations will be on hold until the shutdown ends. A necessary implication of this is that investigations will now be backed up for as long as the shutdown continues. The concern now becomes that, upon resumption of full government activities, the Department may feel the need to join less cases and to dismiss some cases out of hand merely to get caught up. Time will tell, but skilled qui tam attorneys can help relators ensure that their claims are fully vetted. Finally, necessity may mean that there will be an increase in fraudulent claims. The reasons for this are twofold. First, it is a simple fact that claims for payment from the government have not stopped. Depending on the agency involved and the appropriation status of the particular program, some claims are still being paid. However, in those agencies and programs that are not funded, the claims are piling up and creating a backlog. The fear is that, as a result of trying to get caught up once normal operations resume, those responsible for payment will not pay the requisite attention necessary to ensure that due diligence is taken in approving payments. Another fear is that unscrupulous organizations will feel emboldened to file more fraudulent claims with the expectation that more false claims will be allowed to fall through the cracks due to the desire of officials to get caught back up and get business moving. Unfortunately, it is human nature that nefarious actors will find a weakness and try to exploit it. Regardless of where you come down on the issues related to the government shutdown, the impacts are being felt by millions of Americans. If you have taken the courageous position of being a whistleblower in a federal case, you are already in an incredibly stressful situation and the uncertain nature of where you stand is surely only being made worse. If you are considering filing a qui tam suit or you are already involved in the process, you need a skilled and experienced qui tam law firm to help you protect your rights. The legal professionals at Willoughby Brod LLP have years of experience helping relators in the San Francisco, Oakland, and Santa Rosa area navigate this confusing environment, government shutdown or not. Give us a call today at 800-427-7020 or click here to set up your initial consultation and see what we can do for you.